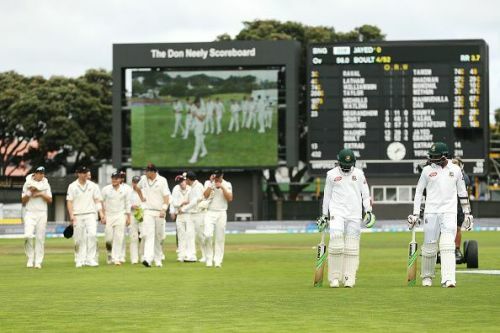 The Test series between New Zealand and Bangladesh, supposed to contain 3 Tests, came to an end in the most unfortunate circumstances. A deadly terror attack in New Zealand which the players of visiting team narrowly escaped, brought the tour to an abrupt end. While the cricket world and, especially, the two nations involved, try to get over this horrible shock, let us look back at the cricket that was played in the two Tests which did take place. New Zealand won both of them to clinch the series. It was a result that hardly surprised anyone. Once again, the fragility of Bangladesh when touring abroad came into view and raised serious concerns about their ability to become a top-level Test side around the globe. The hosts, on the other hand, can look back at this series with satisfaction, though, they didn’t find out anything new about themselves. So, what were the biggest takeaways from this series? Let us enumerate them. Like most subcontinental teams, Bangladesh too relies heavily on spinners when playing in their own backyard. These tweakers have brought them many victories at home. But the struggles of Mehidy Hasan Miraz demonstrate that this formula is not feasible in other countries. Bowling in spin-friendly conditions against non-Asian sides seems much easier these days. Most teams that visit subcontinent find it hard to deal with spinners. Bangladesh have benefitted from this phenomenon in the same manner as India and Sri Lanka. 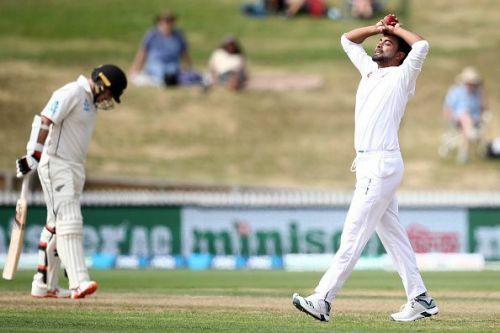 But picking up wickets in places like New Zealand tests the ability of spinners and so far, Bangladesh’s slow bowlers have not surmounted the challenge. The pacers too disappointed. With a bowling coach like Courtney Walsh, you expect them to be skillful and effective. Alas, that wasn’t the case. Abu Jayed was unlucky in the second Test when Ross Taylor was dropped twice in an over bowled by him. But apart from this, visiting team’s seamers were completely innocuous. The fact that they conceded a big score on a green carpet of a pitch should be very disappointing. Walsh needs to do a lot more work, so do the spinners.